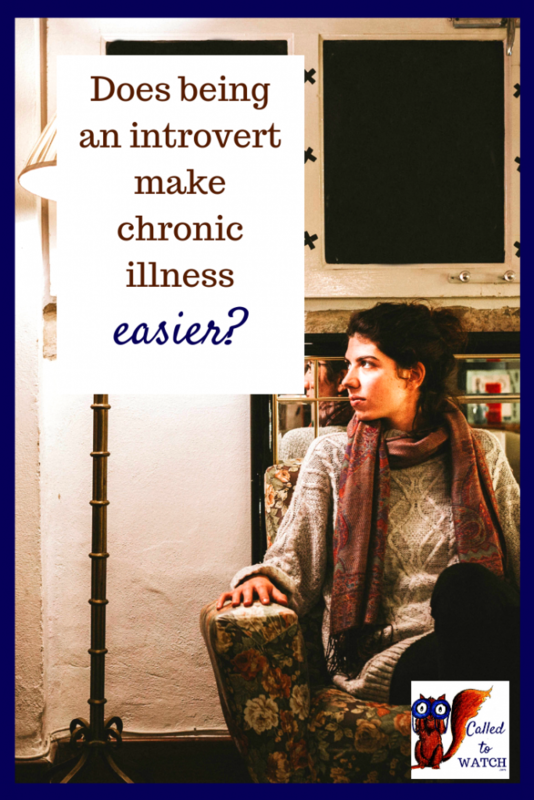 Chronic illness gives introverts no choice but to be alone, and this is very different to choosing to withdraw from society for a few hours. Even the most extreme introvert needs company besides their own. All introverts go through seasons of needing people and seasons of requiring solitude. Chronic illness, physical or mental, robs introverts of this balance. Now you can’t measure hardships with a nifty scale of increasing magnitude – but our introverted friends can struggle in unique ways. Introverts often have a very deep and complex thought-scape. By this, I mean they spend a lot of time thinking about the world, themselves and their place in it. They are used to dwelling in the future and the past as well as the present. When combined with chronic illness, this self-awareness can sometimes lead to the tendency to catastrophize. An introvert may find it easier to see the ramifications their illness will have on themselves, their future and others around them. When there is no ‘escape route’ in sight and nobody to draw them out of their thoughts, this can lead to an endless cycle of fear, doubt and over-sensitivity. A lot of introverts are very aware of what they need to do to relax and recharge. They have come to realise exactly how much ‘alone time’ they need to keep going. Chronic illness changes this – because all the solitude in the world will not bring healing! When their normal solution to fatigue is ripped away, life can get very confusing. What’s an introvert to do? Seek even more ‘alone time’ in an attempt to get their energy back? Or flounder around trying to find different methods? Introverts generally don’t like being around people when they’re ill. There’s nothing wrong with this when you have a bad cold or a stomach-bug – but it gets problematic when your illness is chronic. Sometimes chronic illness can mean an introvert feels like they never want to be around people again. 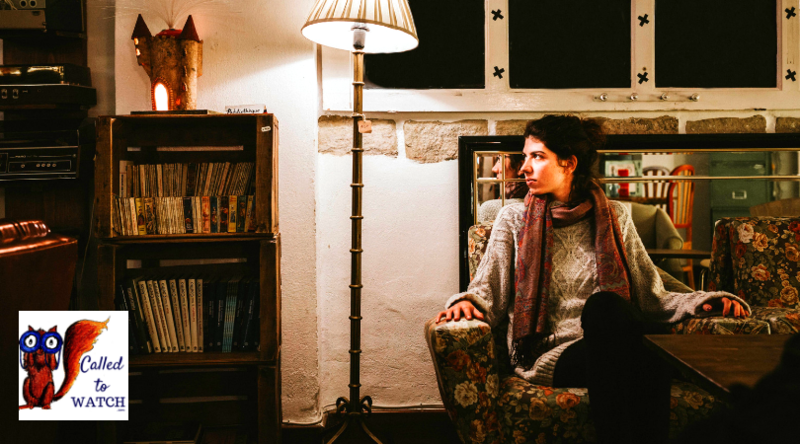 Leaving the house, having friends over – all these can come to provoke anxiety or unease. Introverts tend to make a few, deep friendships and invest in them. They share their hearts with their friends and at times can talk for hours. If chronic illness gets in the way of fostering rich, complex relationships, an introvert can be left feeling bereft and alone. Just like traumatic events can make introverts out of extroverts, the opposite is true. 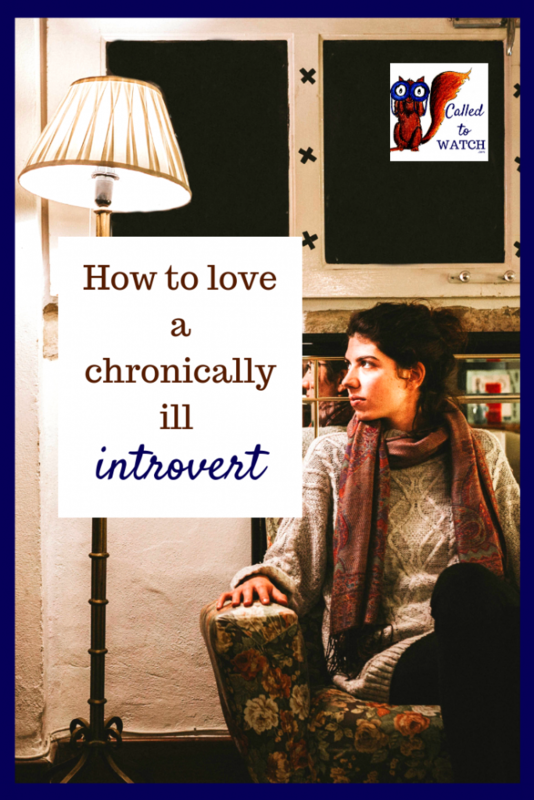 Chronic illness can easily nudge an introvert down towards the extrovert end of the spectrum. When a sick introvert friend suddenly begins to message you about catching up, it can come as a surprise. Before you were the one planning catch-ups and now they are? You may even be tempted to think that perhaps they’re not so sick after all. Chronic illness can mean that being alone with your thoughts is no longer pleasant. It can mean that in order for you to be well enough to see people you need to be the one who plans social encounters. It can give an introvert a new hunger and appreciation for human contact. All of this can result in an introvert seemingly ‘changing’ into an extrovert, as much as their illness will allow. It’s easy to be tempted into thinking that all your sick friend needs is someone to cajole them into spending more time with people. This is not true. Illness, whether physical or mental, demands solitude. Your introverted friend is probably going to need more rest and alone time than before. Yet still they will need friends, perhaps more than ever. So how do you love a sick introvert without encroaching on their needed alone time? Many introverts savour forms of communication which they can read at their leisure. Voice messages are often their choice over phone calls, and snail-mail letters over text messages. Introverts often find hanging out with someone less tiring if they are under no obligation to speak. This is especially true when they are sick. The presence of someone else can be just as encouraging as a conversation. Your introverted friend may not be able to catch up for as long as they used to – so cut straight to the ‘deep’ stuff. It depends on the person, but a good way to test this is to share something that you are thinking/feeling. Often this means a lot to an introvert and in their eyes strengthens your relationship faster than an entire afternoon of board games or small talk. Ask them questions about what they are thinking or feeling. Be willing to share of yourself. Listen, even if you don’t understand. Practise being a person they feel they can be open and vulnerable with, without the effort of small-talk and social niceties. Let your introverted friend know that even if they can’t make it to ‘official’ events, you are still happy to hang out with them – whatever that looks like. Encourage them to plan things, tell them you don’t mind if they have to cancel last minute, remind them that it is their company you enjoy not the activity. In short, make social encounters as easy as possible for them. Leaving the house is never as easy for an introvert as an extrovert, and sickness makes it even harder. Help, I’m an extrovert and this all sounds too complex! Watching an introvert be, well, introverted, can be stressful for extroverts. It’s tempting to think that our introvert friends are fading away, or are making the ‘wrong’ choices. It’s easy to feel that it’s our duty to drag them out of themselves. Be honest with your friend. Explain to them that you will make mistakes but you will keep trying to love. Listen to them, give them time to explain their feelings. Tell them you love them, however they come and whatever they are capable of doing. Practise re-adjusting your pace to theirs and pointing them to Jesus. In the end, it’s not the number of friends they have which will bring them joy, it’s whether they know the One Friend, who will never leave. //Do you have an introverted friend? What are the best parts of your friendship? Which are the hardest?